If an animal appears to be a danger, is injured or may be injured, call the campus police at (831) 459-2231 ext.1. If an animal is posing a threat to people or animals, dial 9-1-1. Domestic animals that are not service animals as defined by the Americans with Disabilities Act (ADA) are prohibited on all UC Santa Cruz property unless specifically exempted by the UC Santa Cruz Non-Research Animal Policy. Please see the policy for guidelines and regulations for exempted animals. Service Animals as defined by the Americans with Disabilities Act (ADA) are permitted on UC Santa Cruz property. For more information, see the UC Santa Cruz Service/Support Animal Policy. Pursuant to 14 CCR § 251.1 (California Code of Regulations) feeding wild animals on campus is prohibited and violators may be subject to time in jail and/or fines. This includes hand feeding or leaving food out for the purpose of feeding any wild animal, including feral cats, on the UC Santa Cruz campus or any property owned or controlled by the UC Regents. With approval, only food left out as bait for purposes of capturing for animal control or as approved for an educational purpose is permitted. Various local organizations and campus departments assume responsibility for providing some animal services and/or advice regarding wild animals. The table below provides contact information for assistance with many of the animal-related situations we have encountered on campus. Police will dispatch animals that are injured and suffering, when reasonable to do so. For small, caged, animals requiring euthanasia, the campus veterinarian can be contacted during business hours. Police regularly educate the campus community about relevant wildlife issues and wildlife safety awareness. Education and outreach include updates on the department web site, presentations, safety literature and communicating through the media in regard to pertinent animal issues. Police will coordinate with appropriate campus departments, state and county agencies to manage incidents as necessary. UC Santa Cruz Police contract with local organizations to capture or contain wild animals. Permits may be required through the California Department of Fish and Wildlife before commencing these activities. 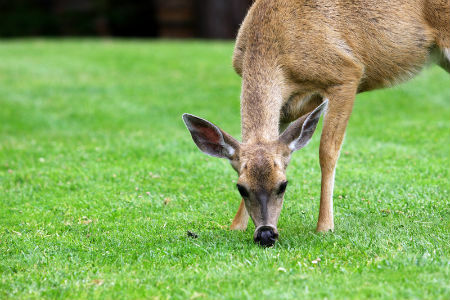 UC Santa Cruz Police respond to reports of injured wildlife. UC Santa Cruz Police may refer situations involving wildlife to the CA Department of Fish and Wildlife, Santa Cruz County Animal Control or other local resources. Removal of injured/sick bats or bats trapped in buildings. Bat inspection/exclusion consultation. UC Santa Cruz Police may refer matters with snakes to a local resource. UC Santa Cruz Police may be called to address mountain lion sightings. The UC Santa Cruz Puma Project is regularly consulted as well. Police have established procedures for handling livestock issues.